Children do not come first. This week at Newmarket School we had camp and swimming and new children and I thought about our fabulous teachers at NPS. This post is a shout out for them and for all teachers. I believe if we take care of our teachers then they will take care of our children. I often hear and read about children being incredibly important and they are placed at the center of everything. They are highlighted in school documentation as being the heart of our schools. Don’t get me wrong, I believe our children are the heart of our schools too. However we appear to miss something when we neglect to mention the place of our teachers. If our children are the heart of our schools then our teachers are the blood that pumps that heart. Sometimes too when I read documentation I want to change the word student or children for learner because I also believe that all teachers are learners too and if we use the word learner than this embraces our teachers too. Yes I know support staff, parents and whānau, but that is another post. 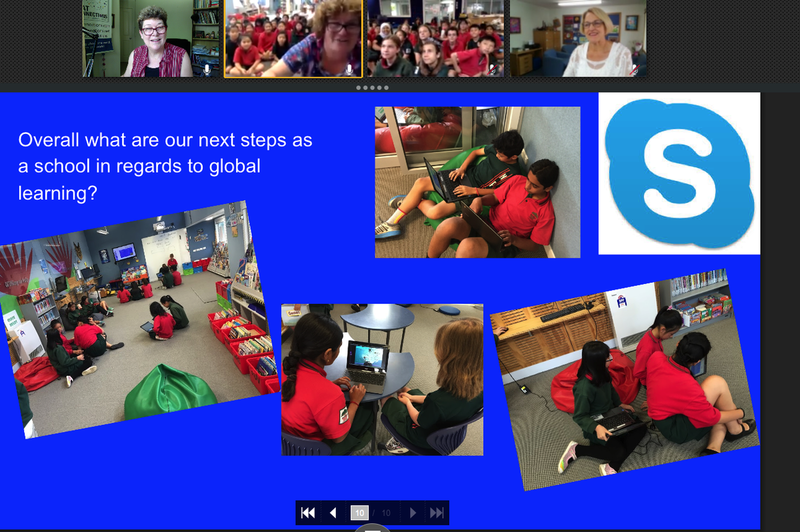 In October 2015 at Ulearn I presented Newmarket School’s involvement in online learning and collaboration leading up to the Flat Connections Global Projects and why I believe that teachers and schools should seriously become involved in global education. I shared a little about our involvement in the ‘Week in the Life’ student collaborative project that we were part of from July until December. After becoming Flat Connection Global Educator Certified in 2014, this year from February until June, I trialled the ‘Week in the Life’ with a small group of student leaders. The outcome of that trial was as a school we embraced Edmodo to compliment our Google Apps for Education Tools. Our year 5 and 6 classes and teachers used the Edmodo platform to communicate and share learning across three classes. I encouraged the rest of our staff to become involved as observers and most set up their own teacher Edmodo accounts. Magic can happen when teachers set up their own online accounts. Teachers must be actively involved online with their classes and using Edmodo across three classes enabled this. As a further wall with our children three other administrators must also be inside that class account. With Flat Connections Edmodo was used for collaborative learning across 6 global schools. When you sign up for Flat Connections you must show evidence of police verification. That is why it is important to be part of a community that already has systems in place for our children’s safety. Meanwhile our trial group pushed through with learning and the outcome of the trial was so successful that in the second 2015 cohort of A week in the Life saw Newmarket school take part with 86 students and three class teachers. Because I had been involved I was able to support our teachers by attending most of the online teacher meetings and they attended whenever they were able to attend. The difference between cohort 2 and cohort 1 was that I was no longer attending teacher meetings at midnight on a Thursday. The benefit of having our classes take part was that a Week in the Life learning happened as part of their in class programme. My trial group had been doing their part during a 40 minute lunchtime once a week. Basically children are placed into groups with children from other schools across the globe. The goal is to produce an artefact that shows the outcome of the children working together. I have learnt the importance of curating when I am learning online and I do this digitally using my wiki. So I curated the information that Julie @julielindsay fired at us such as who the teachers were who were involved, and I added links and curated meeting clips and slides because sometimes we needed to revisit them to keep up to date with schedules and deadlines. We also had the google group emails coming at us. The challenge was that if teachers registered using their school email address then a lot of information would clog up their inboxes. I had learnt to deal with this by using an external email for Edmodo mail and Flat Connections. This allowed me to see at a glance where all the information was. When us four teachers from Newmarket school worked together on the online project I was really excited because I knew that a shift in learning had happened. More so than when I was by myself with the trial group of students. As much as I could, I supported our teachers during report writing by dealing with most of the communication. In addition we had our cultural festival and end of year business looming. This time I was determined to have our students take part in the student summit. A student summit is when the children share their learning within a short time frame. I gave Julie a date for when we would be ready. I worked with the teachers and the teachers worked with the children and it all came together. I was really proud of Anna @MissSpeir, Belinda @BelindaHitchman and Veni @JamiesonVeni from Newmarket School. I know that taking part in the project stretched their thinking as learners themselves. We problem solved some of the technical issues and we connected with other educators and their classes via skype and Edmodo. They also helped monitor the online activities happening between student groups. I believe they were excited to see their children collaboratively learning with children from 6 other countries. When we met other educators via our Fuze meetings and via skype I think they were excited at the learning connections they made. They learnt about time zones and about everyone being responsible for our children, for each other and for other for when we work collaboratively online. As we navigated through a variety of tools we found that Google Draw was not that easy to use when on iPads yet is perfect for Chromes. So the schools using ipads used padlet. As a school I set up class accounts for Voice Thread, but my recommendation would be to have a school paid account and the children would have their own individual accounts. The class accounts worked to a point. but we found that only one user could use the account at a time. We had great excitement when we skyped Chipeta Elementary School in the United States of America and Wilderness School in Australia. The classes took part in the session like a skype in the classroom where they try and guess where the class in from using yes and no type questions. We also skyped in an air scientist to answer some of our questions. Fuze is like a google hangout but is more private. We used Fuze for teacher meetings and for the student summit. Edmodo continues to be a winner for us and all our children were really excited to talking to children from other parts of the world. I could see them trying to set up times for when they would all be online together. I love Edmodo too because I watched how our second language learners used translating tools to personalise and adapt learning to help them get their message across. They were so fast with flipping between two languages on their Chromes. The tools enabled their voices to be heard and often before they were ready to share orally in class. During the Week in the Life Project I really liked observing our teachers giving feedback to student’s reflecting on their learning as part of the learning task. The student summit happened in the final week of school as we raced towards the end of our school year. Out of our 86 children 30 children were selected to share their learning in the project. I basically gave them a single slide to build to accentuate their learning. Then narrowed down the selection group. We had one morning to prepare for the final sharing and so the presentation group had two shots at preparation before we went live. I invited our principal to watch and had some of our other classes watching too. Because of our time zone we did not get the global viewing from the other schools. So that would be something I would consider again for next time. At the same time with technology I know that the other schools could come back and rewind our session. I was really proud of our children. The final student summit is really the process of the learning. Would I do http://aweekinthelife15-2.wikispaces.com/ again? Definitely. Learning is amazing when our teachers and children work with other schools. However something extraordinary happens when we cross oceans and time zones. The difference that The week in the life project has to other learning is the online collaboration that the children and teachers have with children from other countries. There is an ocean to cross and time zones to conquer. Together teachers and children create a shared artefact about their learning and this is usually to do with global issues. I think that this time children created their own artefact rather than contribute to a shared google doc and next time I would remind them about the importance of having everything in one space. As I observed the children working collaboratively, I could see teamwork happening as various members stepped up to ask and answer questions about their global topic. I saw examples of citizenship as members of our Travelwise Team took responsibility to run a school wide campaign to encourage our children to walk to school. The activity helped students to understand the impact of their actions and their role as citizens. Online and offline there were opportunities and examples of children speaking respectfully to each other as they learnt together. In Edmodo there was some discussion but probably the greatest evidence of teamwork was in co constructing information using Google Paint and in the dialogue happening on Voice Thread. I watched as my colleges helped students make connections across learning areas and to the wider world overcoming barriers of distance and time. Julie helped us too by curating learning artefacts on a dedicated wiki. http://aweekinthelife15-2.wikispaces.com/. The greatest impact is a glimmer of how far we can push learning through enabling students to join the Flat Connections community of learners. Learning does not have to just be within a physical space, or confined to a certain way of doing things, or even constrained by a language, distance or time. Learning extended well beyond the classroom using digital tools. Myself I learnt a lot too. I watched how the other teachers tackled problem solving and communication across time zones. I myself learnt about air quality from a student in Singapore and an air scientist somewhere in Auckland. Do visit the Flat Connections site to find out more about becoming involved. 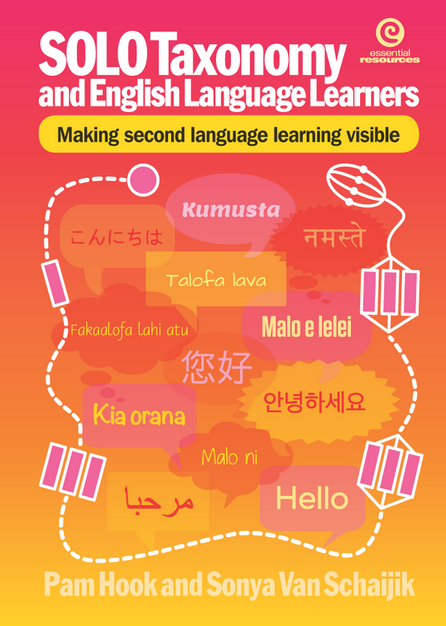 As a school Newmarket has joined the ALLiS Cluster (Asian Language Learning in Schools). I am the lead teacher for our school and I have proposed that we be involved in Connect with China project. This semester I have been an observer teacher in the project and have watched how teachers from America and Australia have made connections with Chinese education. The main tool we have used has been WeChat. I think that as a school we need to seriously consider using WeChat as a communication tool with our families as most of our families use WeChat in preference to Facebook. WeChat is a smartphone app that allows you communicate using text, photos, videos and funny stickers! You can even leave voice messages. WeChat is available across all mobile phones and it’s easy to use! I have sent out the invite to our teachers at Newmarket School to join me in learning to use WeChat. I have been using WeChat for about three years now and I am slowly building an incredibly different PLN to what I have on twitter and facebook. If you are interested in Global Education and want to know more about flattening your walls, then join a Flat Connections group in 2016. Julie offers a range of projects that cover a range of age levels. If you want to know more about SOLO Taxonomy then join Bridget Casse. Pam Hook and myself next year for a TeachMeetNZ Google Hangout where we will be sharing some stunning New Zealand Educators using SOLO in their teaching. Details are being finalised. You can also visit Pam’s Site of incredible resources or get her into your school for professional learning. Personally I recommend her as an amazing educator who can help shift thinking within schools.